What is the cheapest way to get from CentralWorld to lebua at State Tower, Bangkok? 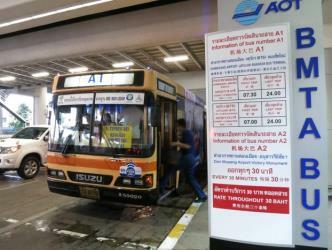 The cheapest way to get from CentralWorld to lebua at State Tower, Bangkok is to bus which costs ฿10 - ฿30 and takes 23m. What is the fastest way to get from CentralWorld to lebua at State Tower, Bangkok? The quickest way to get from CentralWorld to lebua at State Tower, Bangkok is to taxi which costs ฿80 - ฿100 and takes 4m. Is there a direct bus between CentralWorld and lebua at State Tower, Bangkok? Yes, there is a direct bus departing from Peninsula Plaza and arriving at Lerdsin Hospital. Services depart every 15 minutes, and operate every day. The journey takes approximately 13m. 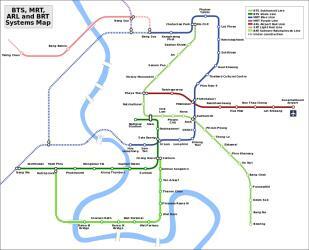 Is there a direct train between CentralWorld and lebua at State Tower, Bangkok? 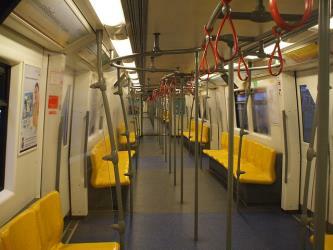 Yes, there is a direct train departing from Siam and arriving at Saphan Taksin. Services depart every 10 minutes, and operate every day. The journey takes approximately 9m. How far is it from CentralWorld to lebua at State Tower, Bangkok? The distance between CentralWorld and lebua at State Tower, Bangkok is 4 km. How do I travel from CentralWorld to lebua at State Tower, Bangkok without a car? The best way to get from CentralWorld to lebua at State Tower, Bangkok without a car is to bus via Peninsula Plaza which takes 20m and costs ฿10 - ฿30. How long does it take to get from CentralWorld to lebua at State Tower, Bangkok? 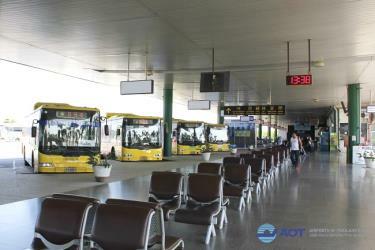 The bus from Peninsula Plaza to Lerdsin Hospital takes 13m including transfers and departs every 15 minutes. Where do I catch the CentralWorld to lebua at State Tower, Bangkok bus from? CentralWorld to lebua at State Tower, Bangkok bus services, operated by Bangkok Mass Transit Authority, depart from Peninsula Plaza station. Where do I catch the CentralWorld to lebua at State Tower, Bangkok train from? CentralWorld to lebua at State Tower, Bangkok train services, operated by BTS, depart from Siam station. 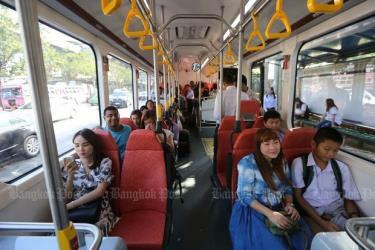 Train or bus from CentralWorld to lebua at State Tower, Bangkok? The best way to get from CentralWorld to lebua at State Tower, Bangkok is to bus via Peninsula Plaza which takes 20m and costs ฿10 - ฿30. Alternatively, you can train, which costs ฿15 - ฿60 and takes 31m. What companies run services between CentralWorld, Thailand and lebua at State Tower, Bangkok, Thailand? 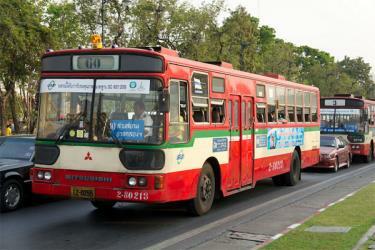 Bangkok Mass Transit Authority operates a bus from CentralWorld to lebua at State Tower, Bangkok every 15 minutes. Tickets cost ฿10 - ฿30 and the journey takes 13m. 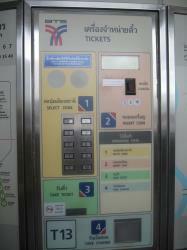 Alternatively, BTS operates a train from CentralWorld to lebua at State Tower, Bangkok every 10 minutes. Tickets cost ฿15 - ฿60 and the journey takes 9m. Rome2rio's Travel Guide series provide vital information for the global traveller. Read our range of informative guides on popular transport routes and companies - including Italian Lakes: Getting around by train, Travelling to the US: What do I need to know? and Thanksgiving 2018: How to travel stress-free - to help you get the most out of your next trip. 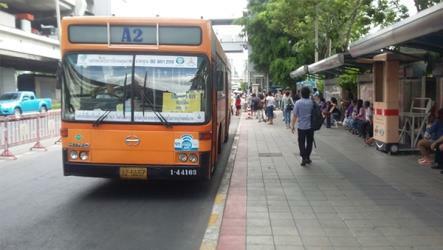 Where does the CentralWorld to lebua at State Tower, Bangkok bus arrive? CentralWorld to lebua at State Tower, Bangkok bus services, operated by Bangkok Mass Transit Authority, arrive at Lerdsin Hospital station. 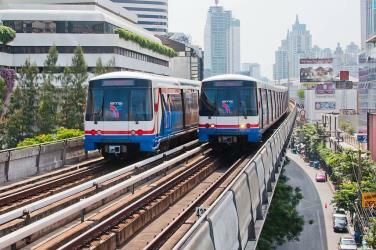 Where does the CentralWorld to lebua at State Tower, Bangkok train arrive? 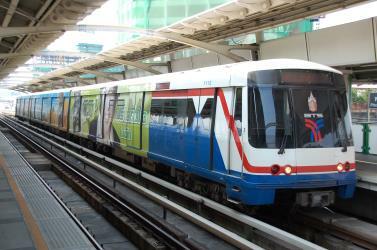 CentralWorld to lebua at State Tower, Bangkok train services, operated by BTS, arrive at Saphan Taksin station. Where can I stay near lebua at State Tower, Bangkok? There are 3547+ hotels available in lebua at State Tower, Bangkok. Prices start at ฿670 per night. Thailand’s bustling capital is filled with historic monuments, ancient temples, great shopping and a fascinating culture. Pick up some fresh produce at the famous floating markets, explore the many wats (temples) that pepper the city, and kick back at a local cabaret show. Visit the majestic Grand Palace or the giant reclining Buddha at Wat Pho, stroll through colourful Chinatown, and explore the city’s many canals. Test your bargaining skills at Chatuchak Weekend Market, experience a traditional muay thai kickboxing match and soak up the heady energy of Khao San Road. The Grand Palace (Thai: พระบรมมหาราชวัง, ) is a complex of buildings at the heart of Bangkok, Thailand. The palace has been the official residence of the Kings of Siam (and later Thailand) since 1782. The king, his court and his royal government were based on the grounds of the palace until 1925. King Bhumibol Adulyadej (Rama IX), resided at the Chitralada Royal Villa and his successor King Vajiralongkorn (Rama X) at the Amphorn Sathan Residential Hall, both in the Dusit Palace, but the Grand Palace is still used for official events. Several royal ceremonies and state functions are held within the walls of the palace every year. The palace is one of the most popular tourist attractions in Thailand. The Jim Thompson House is a museum in central Bangkok, Thailand, housing the art collection of American businessman and architect Jim Thompson, the museum designer and former owner. Built in 1959, the museum spans one rectangular "rai" of land (approximately half an acre or 2023.43 meters). It is one of the most popular tourist destinations in Thailand; sporting vibrant jungle foliage in the heart of the city. CentralWorld (Thai: เซ็นทรัลเวิลด์) is a shopping plaza and complex in Bangkok, Thailand. It is the tenth largest shopping complex in the world. The complex, which includes a hotel and office tower, is owned by Central Pattana. In 2006, after three years of design and renovation, CentralWorld was expanded to 550,000 square metres of shopping mall and 1,024,000 square metres of complex, topping nearby rival Siam Paragon in terms of size. Rome2rio makes travelling from CentralWorld to lebua at State Tower, Bangkok easy. Rome2rio is a door-to-door travel information and booking engine, helping you get to and from any location in the world. Find all the transport options for your trip from CentralWorld to lebua at State Tower, Bangkok right here. Rome2rio displays up to date schedules, route maps, journey times and estimated fares from relevant transport operators, ensuring you can make an informed decision about which option will suit you best. Rome2rio also offers online bookings for selected operators, making reservations easy and straightforward.